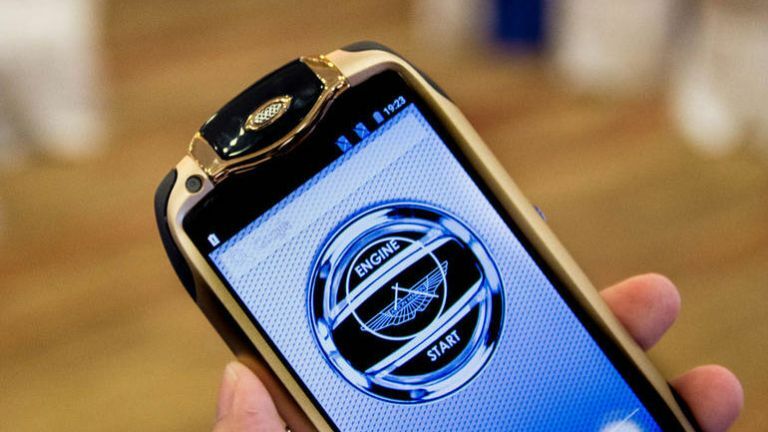 If gaudy design and sky-high prices get your motor running, Aston Martin's latest smartphone offering will see you hit the top of your rev limiter. The Aston Martin Racing 808, or the AMR 808 if you're looking for a more catchy name, bear's the luxury car maker's brand on its body and display as it looks to scoop up the high flying executives targeted by other premium brands such as Vertu and BlackBerry's Porsche Design. As with its competitors, the AMR 808 sports a style which will divide opinion into two camps - 'luxury chic' and 'down right ugly'. We can all agree on the specs though, and the fact they're distinctly average. A Qualcomm Snapdragon 801 processor sits at the heart of the device - a chip which is now almost two years old. That's complimented by 2GB of RAM, 32GB of storage, 13MP rear camera and a 4.7-inch screen with a 720p resolution. Supercar specs these ain't, but the price tag at least hammers home this isn't another run-of-the-mill Android smartphone. The AMR 808 price starts at a cool £3,900 for the base model, but clad your new Aston Martin handset in 18-karat gold and diamonds and you'll find yourself splashing out around £19,000. If you fancy picking the AMR 808 to go with your recent Vanquish purchase, it will be available on December 15 from Selfridges, London.